The large and varied rolling stock fleet of Consolidated Rail Corporation probably evolved more during the 1976-1987 period than did that of any other major railroad in North America. 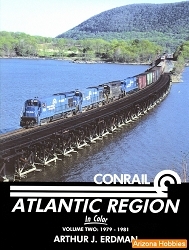 Conrail inherited and ill-maintained and substantially obsolete fleet of equipment and needed to improve it. Change was prompt and continuous. 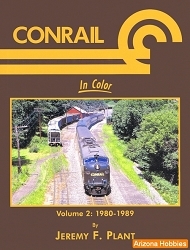 Join sixteen-year Conrail employee Larry DeYoung for a look at the Conrail fleet during 'Big Blues' first eleven years. 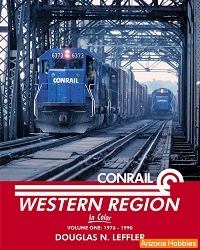 Contents include business cars and cabooses through inter-modal equipment and maintenance-of-way equipment.